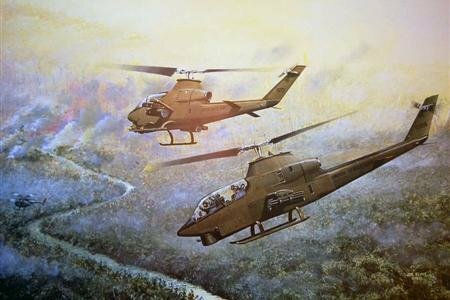 The AH-1G Cobra was the first helicopter designed as a gunship from the ground up. With a crew of two, the fuselage of the Cobra was only 36" wide, presenting a small target to the enemy as it unleashed it own rockets, grenades and minigun fire. For the customized version, the artist will hand-paint unit markings and various weapons configurations.